Healing Depression With Crystals: Are Your Imbalanced Chakras Causing Your Depression? Not everybody's experience with depression is the same. There are seven major chakras in the body, and depression can begin in any of them. Sometimes alternative healing methods seem like a last resort. 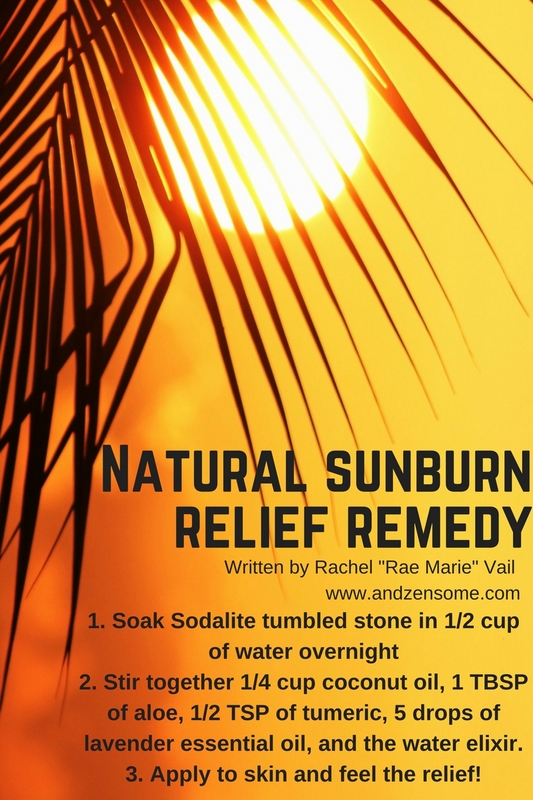 However, these methods of healing were some of the first to exist. Crystals have lasted through ancient civilizations all the way to today's society for a reason. If it seems like there is no hope, don't give up before trying these amazing crystals! Depression can be caused by an imbalance in the chakras. Healing Crystals and Stones and a touch of spiritual protection can totally help you heal! Solar Plexus Chakra-Based Depression. Try Citrine. Are you ready for a complete Solar Plexus Activation? Try a Citrine. For those of you wondering what a solar plexus is, it is the third chakra in your body. It sits right above the navel. This is the center of control and power. Often times depression is caused by an imbalanced solar plexus chakra. Signs of your depression stemming from the chakra include feelings of unworthiness, unhappiness, loneliness, anxiety, panic attacks, feeling a loss of control, feeling unmotivated, the inability to think positive, etc. Citrine is a great crystal for clearing and activating this energy center because of its vibrant yellow hue. This stone promotes feelings of joy and gratitude. One amazing thing about this stone is it holds no negative energy. Citrine can also help you manifest a specific intention and increase abundance! So whenever you are ready to take control of your life, feel empowered, experience happiness, and receive nothing but blessings from the universe - give this stone a shot. Other stones you may want to consider trying for your solar plexus chakra are Amber or Topaz. Still unsure if Citrine is for you? Signs your solar plexus is blocked include: digestive problems/stomach tension, self-limiting thoughts, high anxiety and feelings of no control. Heart Chakra-Based Depression. Try Rose Quartz. The heart chakra is also a place where your depression could stem from. If this chakra is the root of your depression, it will show in the form of stress, self-loathing, inability to see one's own beauty or the beauty of others, holding grudges, obvious sadness (fits of crying, anger, etc. ), or holding on to childhood wounds. Rose Quartz is an amazing healing stone for helping one overcome emotional wounds, forgiving the past, and receiving love in all forms. This is more complex than it seems: emotional wounds include grief, depression, stress, anxiety, self-loathing or low self-esteem. Forgiving the past can mean things that you have done wrong or things others have done wrong to you. Receiving love means the ability to receive love from others close to you, from strangers, from yourself, from the earth, from Spirit, wherever LOVE is around you - you will acknowledge it and accept it. If you are ready to start loving yourself and others, seeing the beauty in the world, living more compassionately, reducing stress, and taking time for self nourishment, Rose Quartz is totally for you! More signs this stone is for you: skin conditions/acne, negative self talk, poor hygiene, feelings of jealousy, and feelings of loneliness. If Rose Quartz does not seem like it is for you, try Mangano Calcite, or Rhodochrosite. Third Eye-Based Depression. Try Amethyst. Amethyst is connected to the Third Eye Chakra and healing this chakra can help you see things for what they truly are. Sometimes we are exposed to distorted thoughts about ourselves and about the world through the media, childhood, or anywhere. Exposure to this kind of negativity clouds your third eye chakra and makes it hard to see the light that exists in the world. Your depression may also include difficulty sleeping, or the need to sleep all the time, nightmares, nervousness, difficulty making decisions or positive choices, or vigilance. PTSD can be very detrimental to this chakra, leading to serious depression and damage. Restore the energy of this chakra with Amethyst if you are ready to feel awake and have hope again. Amethyst can help you feel connected and in tune with yourself and those around you. This crystal can help you see your power, see your beauty, and recognize your potential. Charoite and Fluorite are also great stones to use for overcoming Third Eye Depression. Alternate signs this is the chakra in which your depression stems: You are experiencing insomnia, headaches or migraines, physical pain, you are making poor decisions, addiction, forgetfulness. Throat Chakra Based Depression. Try Amazonite. Sometimes depression can stem from the Throat Chakra. This includes feeling like you are not being heard, not being able to explain yourself, feeling like it would be better to not speak at all, feeling like the people around you are lying to you, feeling like nobody believes you, and more. Sometimes Throat Chakra based depression can involve outbursts of emotions or the inability to express yourself in a positive and productive way. If any of this sounds like something you are experiencing, please remember you are not weird or crazy! Blue Calcite, Turquoise, and Chrysocolla are all great stones to help you gain power in your words and in your circle. These stones can help you feel confident in your words, eloquent, and charismatic. They inspire you to speak up and tell your story no matter what it is. They embody courage, self-esteem, and integrity. These stones can also soothe the emotions, help you process them, help you sort your thoughts; so you can say and feel what needs to be said and felt and still be heard and understood by those around you. When the words flowing out of your mouth sound good and feel good, you feel good on the inside and the positive thoughts begin to flow in. This is very similar to the law of attraction! You can use Blue Kyanite to enhance this aspect. Throat Chakra Based depression symptoms can include sore throats, allergies, ringing in ears, feeling like there is something in your throat, and headaches. Root Chakra Based Depression. Try Pyrite. The Root Chakra is located at the base of your spine. In the Seven Chakra System it is the first chakra. It represents the physical world. If you feel your depression is related to stress, fear, and doubt - chances are this chakra is out of balance. If you are struggling to find peace and feelings of safety at your home, job, family, finances. Often times you may feel intense feelings that your life is chaotic, you may feel like you are just floating away with all the stress. You may feel like you are on autopilot going along with the motions and can't catch a break. This is because you are not grounded. Take some time in nature and wear a Pyrite, Smokey Quartz, or Agate. These crystals can help you become more in tune with your body, take one thing at a time, and feel safe and secure in your physical world. They help you feel more present. Signs you need to activate your Root Chakra are if you struggle with addiction, lower back pain, anxiety, career difficulties, feelings of discontent, fatigue, exhaustion. Crown Chakra Based Depression. Try Spirit Quartz. In some cases, depression can stem from your Crown Chakra. This is very common in HSP's (highly sensitive persons), empaths, psychics, etc who have not yet understood or grasped their gifts. If you feel cut off from the world, people around you, and the universe; if you blame the universe/god/others for your problems; or if you live in a great deal of fear or misunderstanding, or even hopelessness, chances are your crown chakra is blocked. Spirit Quartz, Tibetan Quartz, and Herkimer Diamond are all great stones for attuning your connection to the world, your gifts, and activating your Crown Chakra. Feeling linked with the universe can help restore your sense of faith in the future. You may experience a sense of belonging, togetherness, and love for the world around you and the life you live. Other signs your crown chakra is blocked include pain, lack of interested and motivation, feeling "foggy", fatigue, anxiety, judgmental thoughts of others, and clumsiness. Sacral Chakra Based Depression. Try Carnelian. Your Sacral Chakra is the second chakra, located below the belly button. It is the center of where you harness your passion. When depression stems from your Sacral Chakra, you may experience a loss of interest or detachment, difficulty enjoying your life, difficulty embracing who you are, a loss of motivation, or loss of desire. Loss of desire can mean sexually, creatively, work-related, etc. Sacral Chakra stones are great to use to combat this kind of depression so you can regain your passion for living and live life to the fullest. You can regain your energetic levels and clear this chakra with Carnelian, Fluorite, Fire Agate. 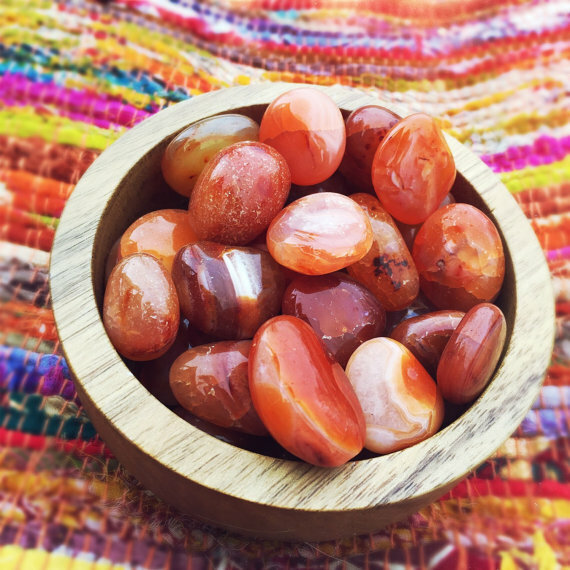 Carnelian is a great stone for activating the Sacral Chakra with its fiery orange color. It embodies the sexual, creative, and energetic God/Goddess inside all of us. Bring that part of you back to life by wearing or sleeping with this stone. Other signs your Sacral Chakra is blocked: feeling unworthy, abnormal menstruation/reproductive issues, urinary issues, fear, feeling stuck or lost, inability to focus. Healing Chakras Can Bring You Back to Harmony and Happiness. I hope this information has been helpful. Please remember I am not a doctor and this is not medical advice. If you have any questions, feel free to ask in the comments. Love & Light and good luck using these tools to assist your emotional wellbeing.